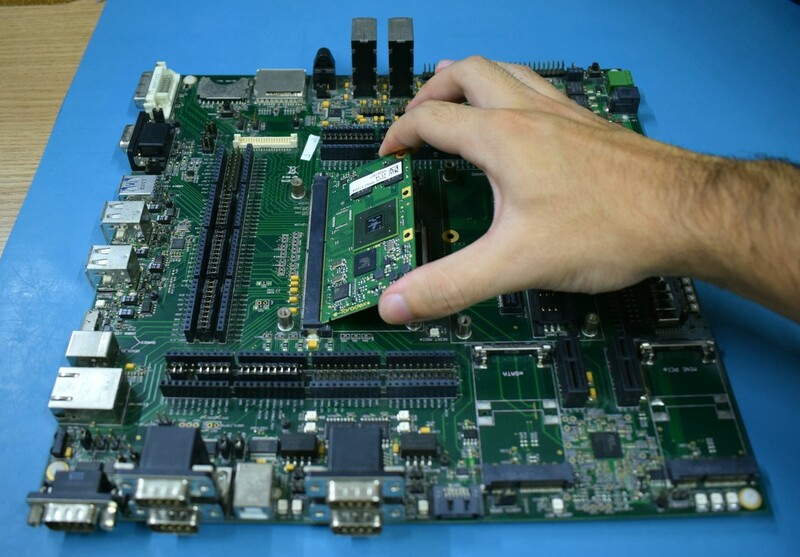 Remove the Evaluation Board and the Apalis Computer on Module from the blisters. Insert the computer on module into the X1 connector of the Evaluation Board as tight as possible, with the module inclined ~30 to 45 degree in relation to the carrier board. Warning: Make sure that the computer on module is well connected to the board. The image below has some checkpoints highlighted. 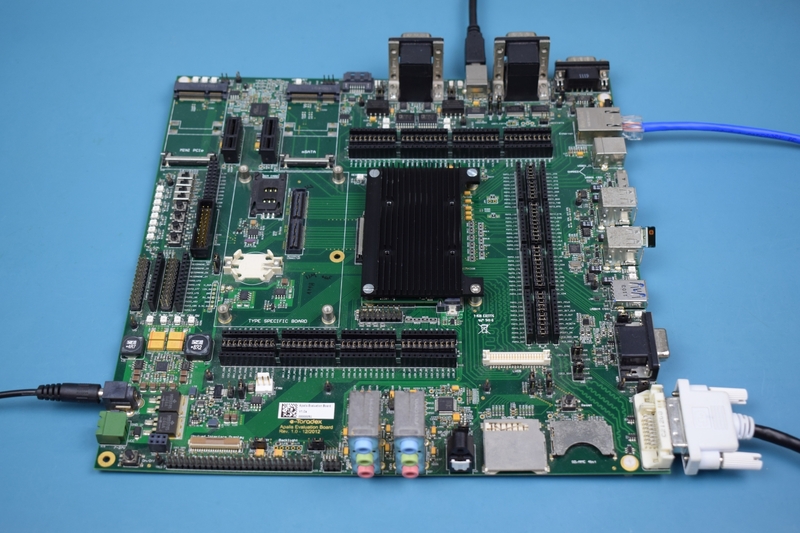 Connect a DVI-D monitor to X11 and an Ethernet cable to X12 on the Evaluation Board. Also connect a USB keyboard to X53 or X54, a 12V power supply to the barrel jack X17 or use a 7-27 V power supply to X15. Finally, plug the USB Type-B to Type-A cable to X29. Make sure that the jumpers X39 and X40 are short circuited in the DVI position, i.e. middle pins. 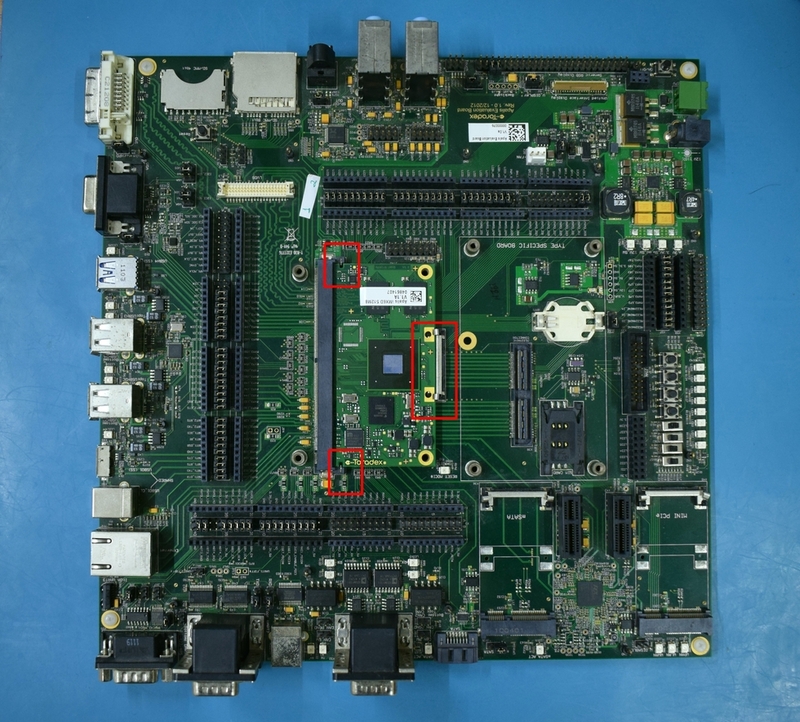 Attention: Double check that your power supply is within the Evaluation Board limits (7-27V to X15 connector or 12V to X17 connector) and that the polarity is not inverted. Also, make sure that the current capability of the power supply is enough, or the system may shut down unexpectedly. For evaluation purposes, a 12V 2A power supply is recommended. Note: In the image below, the Apalis Heatsink is attached to the system. It is not mandatory for this getting-started guide, but keep in mind that excessive heat may reduce system performance. More information about the Apalis Heatsink is available here. 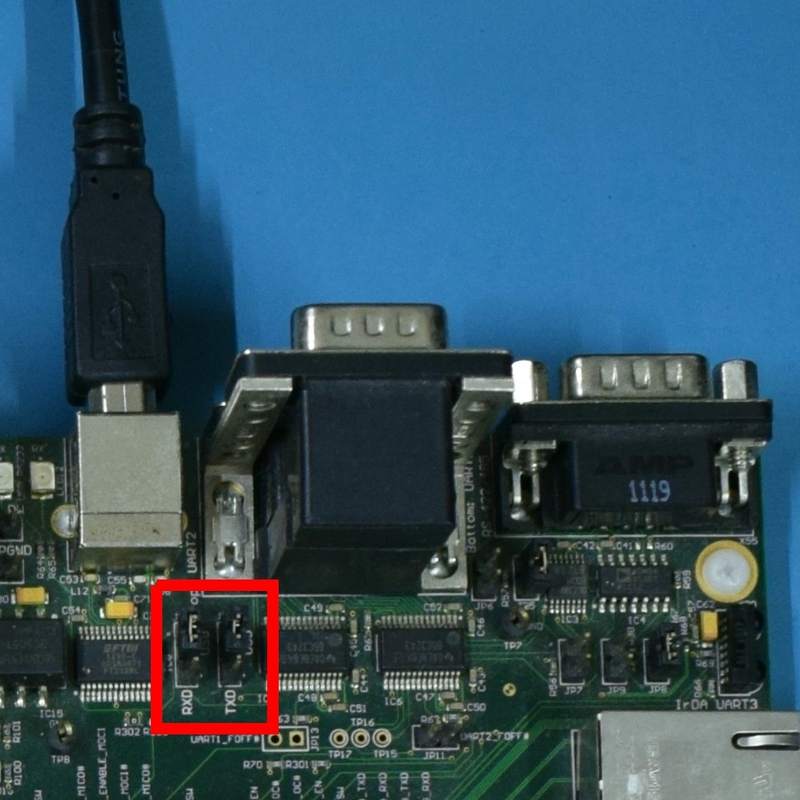 Make sure that the jumpers JP10 and JP12 are set to USB mode as shown in the image below, once we will use UART-1 via the USB Type-B connector X29.